Smart meter maker Itron and demand response provider Comverge have linked technologies to bring home energy management via smart meter networks. It's the end goal of many deployments. Comverge and Itron say they've got a technology combo that gets them a step closer to an integrated commercial solution for one of the big promises of smart meters – hooking up homes with devices that can turn down electricity use when utilities need it the most. 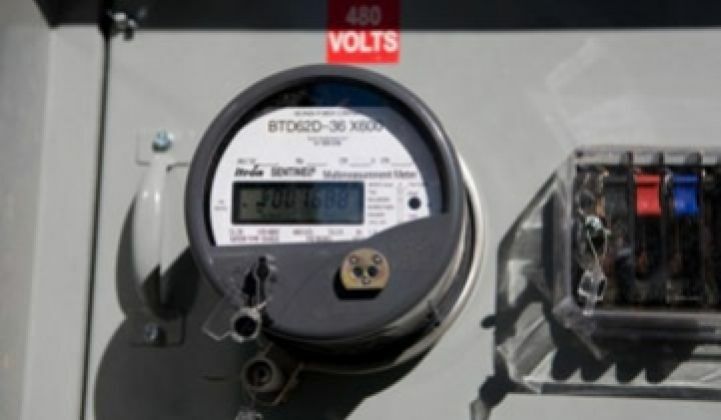 The two said Wednesday that they've integrated Itron's OpenWay system – its way of making its smart meters, communications gear, networking and software all work together – with Comverge's Apollo platform, meant to give utilities a portal to power down home appliances, air conditioners and the like through smart meters (see Green Light post). Comverge also makes ZigBee-enabled smart thermostats, smart plugs, energy dashboards and the like that can measure and manage energy use. All in all, that's pretty close to a complete list of the components utilities are looking for in an integrated smart meter-enabled system to control home energy use, except maybe the meter data management software – which Itron also provides. The two don't yet have any commercial deployments for the new comingling of technologies. 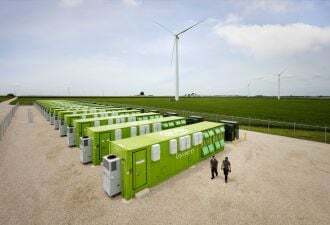 But it is being tried out in pilot projects, including one involving TXU Energy and CenterPoint Energy in Texas, said Bud Vos, Comverge's CTO. Comverge is already using its Apollo platform to link smart meters with a few other utilities, including Pepco, which serves Maryland and Washington, D.C. (see Comverge Reports $9.1M First Quarter Loss). Of course, Itron and Comverge face plenty of competition in linking smart meters to home energy control. After all, almost all the utilities installing smart meters say that they will eventually will bring along gadgets to help homeowners save energy – in part to help pay for the extra costs of installing them that are generally passed on to ratepayers in the form of slightly higher bills. Many studies have proven the 5 percent to 15 percent savings that come from simply informing consumers of their energy use, whether it's using smart meters or some other means (see The Smart Home, Part I). A pilot project for Oklahoma Gas & Electric by home energy software maker Greenbox Technology and smart meter networking provider Silver Spring Networks is one example of a partnership that links customers with utilities (see Smart Grid: Test Customers Give Thumbs Up). But what utilities really want to do is curtail power at short notice during peak demand times. Keeping fossil fuel-driven generators on reserve all year to provide power for about 400 hours isn't cost effective, and the demand for such inefficient reserves is set to boom in coming years. Even utilities with revenues directly linked to selling as many megawatts as possible don't like to waste money that way, meaning projects that tackle this peak demand problem tend to drive utility energy efficiency spending. Utilities could power down home systems by remote control, or they can let the homeowner decide which devices will shut down when the utility asks for it. Utilities typically pay customers for agreeing to do that. Or devices can be set to power down in response to price signals like time-of-use rates. Smart meter networking provider Trilliant is integrating such a project for Milton Hydro in Ontario. The utility has its 27,000 customers paying prices that change three times a day, and Trilliant offers smart meter networking, software and home energy devices to help – a package that contains many of the same pieces that make up the Itron and Comverge partnership. Trilliant is a partner in another pilot project with Kentucky utility Louisville Gas & Electric to do demand response over a smart meter network — one of many seeking to prove the concept can work on a broader scale (see The Smart Home, Part II). But Itron and Comverge do have some strengths to bring to the table. Liberty Lake, Wash.-based Itron is the United States' top advances meter maker by market share, for one. While most of those meters are an earlier generation that send but don't receive digital data, Itron has contracts to deploy two-way communicating smart meters contracts with utilities including Southern California Edison and San Diego Gas & Electric, as well as CenterPoint and Michigan's DTE Energy. (see Green Light post). And Comverge has more than 500 customers that make up about 2,700 megawatts of power the East Hanover, N.J.-based company can turn down at short notice to help utilities avoid expensive peak demand costs. That puts it in line with other top demand response companies like EnerNoc and CPower. In Comverge's case, roughly one-quarter of its demand response portfolio is in residential deployments – relatively rare in the demand response industry, which concentrates on industrial and commercial clients (see Demand Response: The Home vs. C&I Debate). But with so many new companies entering the field, it's likely that more partnerships will emerge that integrate the separate functions that allow smart meters to control home devices – part of the overall integration that's expected in the field (see Tendril Lands $30M as Growth, Consolidation Loom in Smart Grid).